← Cappadocia – Unique Fixer-uppers. The flotsam, jetsam and myth of history. 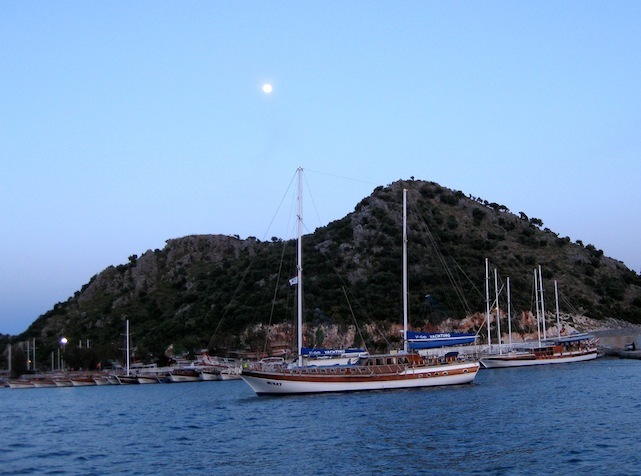 Troy is an exemplar, it encapsulates Turkey’s vast many faceted history; fact and fiction, myth and mystery. The mythical Troy of Homer’s Iliad, a story written in 800 BC of events that were supposed to have occurred in 1200 BC, has now been so inculcated in our collective memory as to become fact. The Hollywood fantasy Troy of Brad Pitt et.al. has, for better or worse, etched faces to the names of the gods, immortals and mortals. 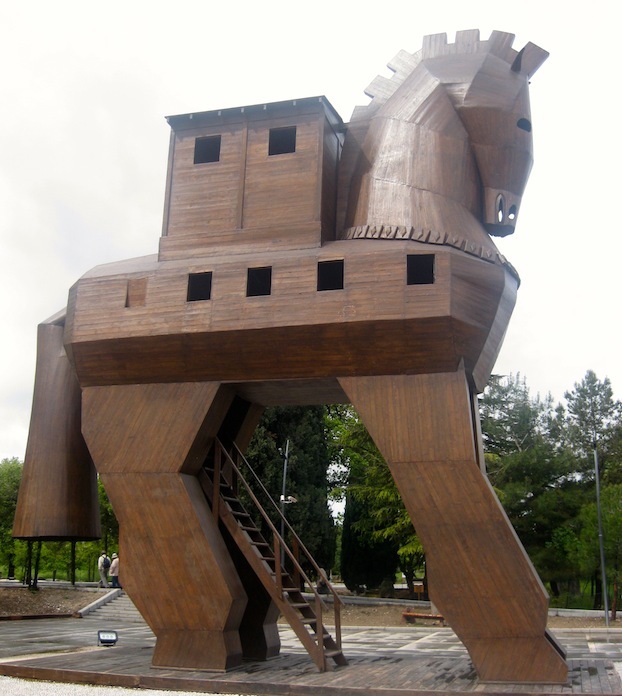 The Hollywood producers were kind enough to leave behind one of the props used in the film, a Trojan horse, forever validating the ancient myth with a Hollywood myth prop – sort of a myth squared. Both these Troy’s are defined as ancient Greek. Finally, there is the real Troy, the one we visited. It is an archeological dig, it is not exciting; no granite buildings to stir the imagination, no ancient columns standing in slight disrepair, a World Heritage site certainly but with few tourist buses to be found. Yet for the past 150 years it has been, when money for digging was available, providing profound insights into the lives of those who lived in the region for thousands of years. 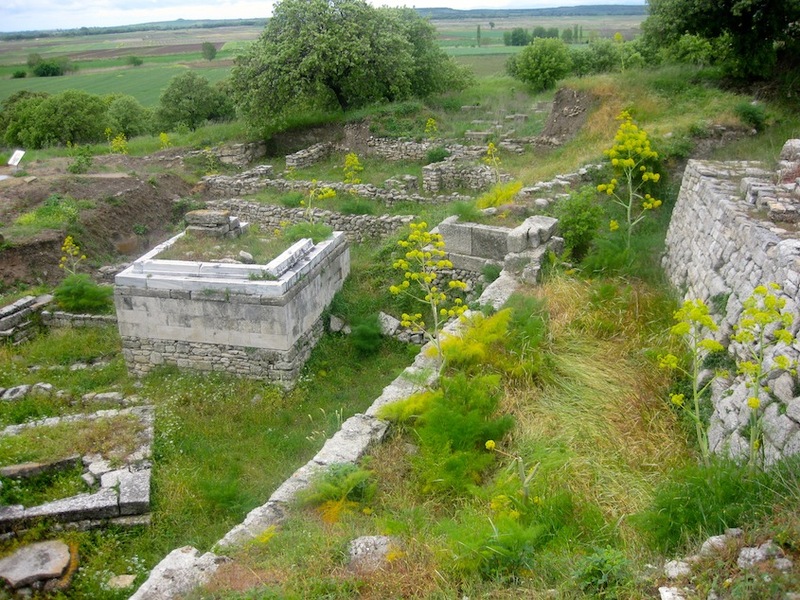 Troy has been occupied continuously since 3000 BC. It is defined in layers, at least nine of them; each of which represents a long era of habitation by a unique culture. Each offers a rich motherlode of evidence to archeologists, informs them and allows them to reconstruct the lives of its residents. Troy is in Turkey, its history links modern day Turkey to the history of the Aegean Sea, a history that we mostly, wrongly, define as Greek. 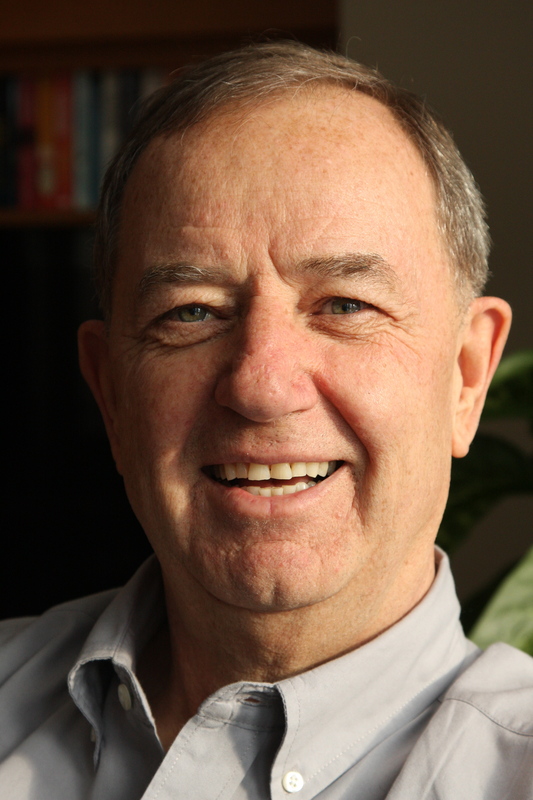 Our erroneous conceit is that ancient history belongs to the Greeks, yet the Ionic region was a polyglot of city states that traded and fought each other over centuries; the region was neither dominated nor overwhelmingly influenced by any one of them. 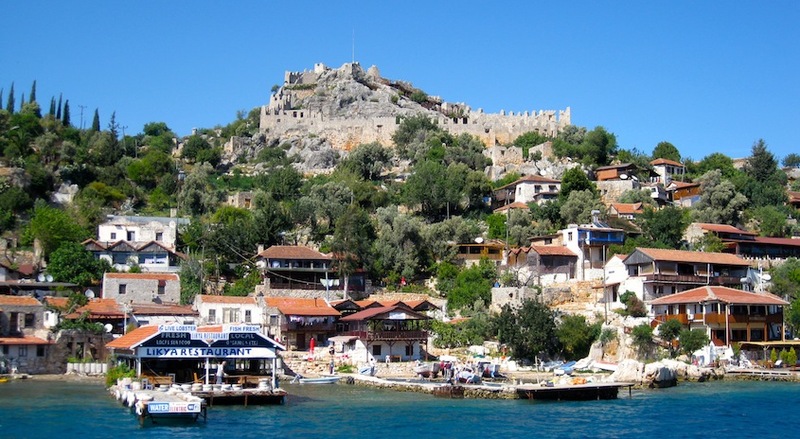 Turkey is as rich and as worthy of study as Greece. We visited Semena, an Island off the Mediterranean coast near Kekova, where a Lycian community thrived in the fourth century BC. 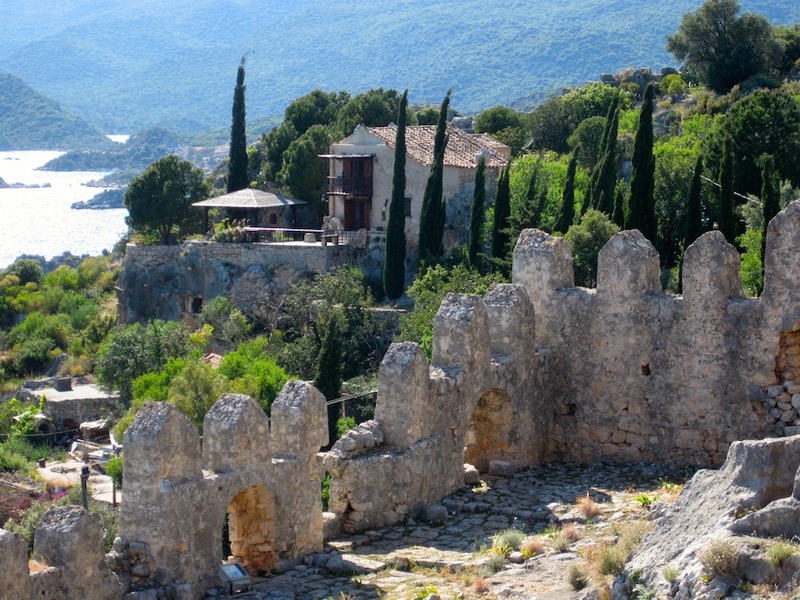 A mountain fortress with a 300 seat amphitheater are remarkably well preserved as are many Lycian sarcophogi. We toured another World Heritage site at Hierapolis, above the white calcium carbonate travertine cliffs of Pamukkale, an ancient spa town with its own hot springs that dates back to the second century BC. Besides the spa, the 15,000 person amphitheater captivates with a view over the valley and a remarkable stage front. 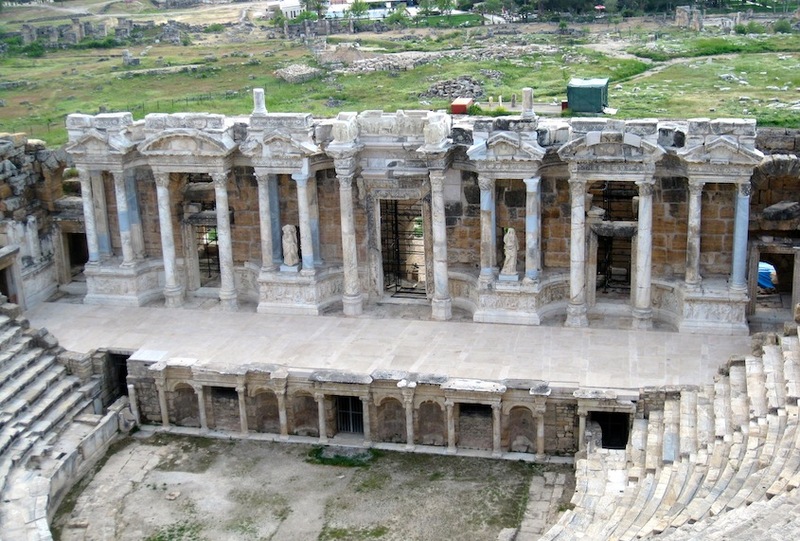 The highlight of our Turkey tour was Ephesus, our group favorite with a wow factor that was off the scale. Founded in the tenth century BC, it was one of the ten cities of the Ionian League, a major center of commerce under the Romans with a population said to have been over 50,000 and was one of the seven churches of Asia listed in the Book of Revelations. The two story library is jaw-dropping beautiful. 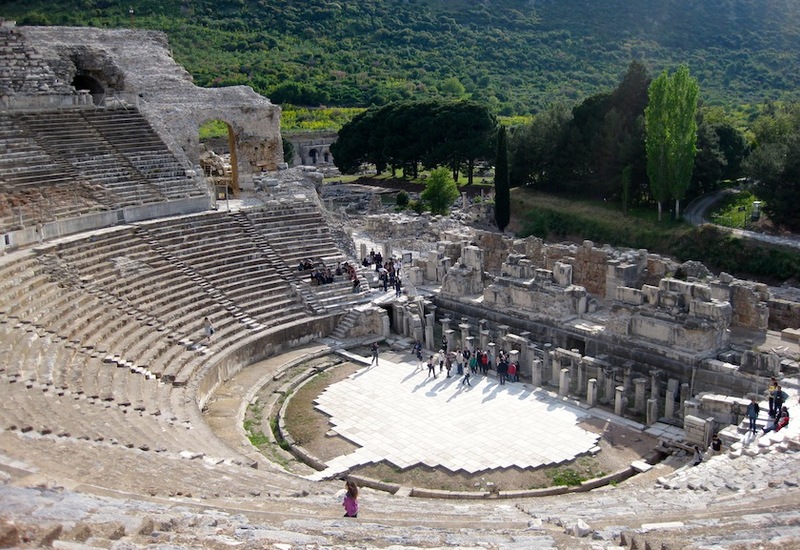 The 24,000 seat theater is one of the world’s largest and is remarkably well preserved. The terraced apartment complex currently being restored reveals mosaics, wall paintings and thinly cut marble facings that draw us closer to the daily life of the rich Roman inhabitants than anything I have experienced. The whole complex is massive; several hours fly past as we explore the buildings, marvel at the complexity of this city and imagine ourselves living in these terraced houses; it is a must see. Turkey offers many reasons to visit; its people are invariably friendly and gracious, the food is spectacular (I became addicted to fresh grilled sea bass), the interior is rugged and unspoiled, and the coastline is intriguing, beautiful and pristine (Not an all-inclusive beach resort in sight); all reasons for a long tour. The real treat, the surprise, the sweet spot, is the history. I have the movies, the myths, the ancient stories and poems in my head; I now have real visual and tactile awareness, knowledge, to form and reform my own opinions. Turkey’s rich history unfolds for me, beguilingly reveals itself, adds new dimensions to my understanding of the past, widens my perspective, informs my understanding and enriches me with a more complex understanding of the history of humankind. How else would I like to learn, where else would I rather be? 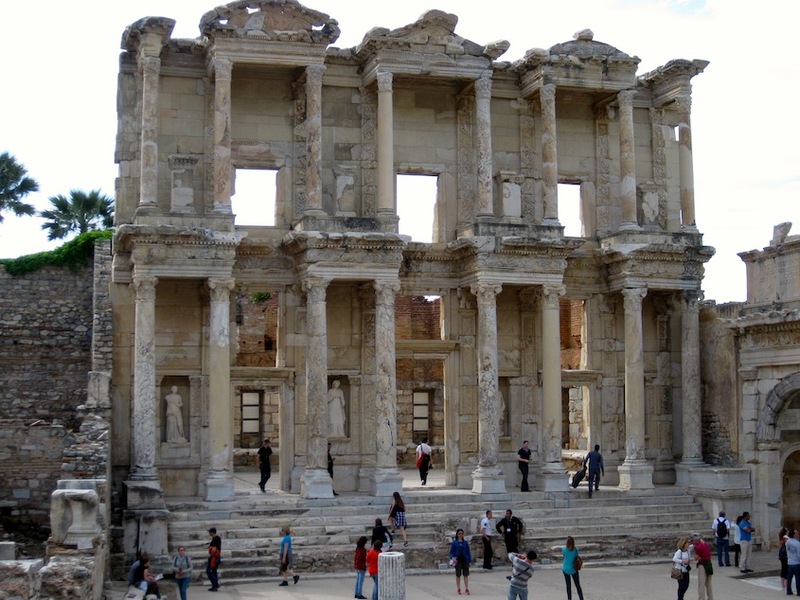 This entry was posted in Uncategorized and tagged ancient history of Turkey, Ephesus, Hierapolis, midlife adventures, Off the Couch and Out the Door, treks, Troy, Turkey, Turkey history, writing and publishing. Bookmark the permalink. 1 Response to The flotsam, jetsam and myth of history. As ever a clear and delightful account of travels that anyone can take and participate in. Enjoyed reading the account immensely.